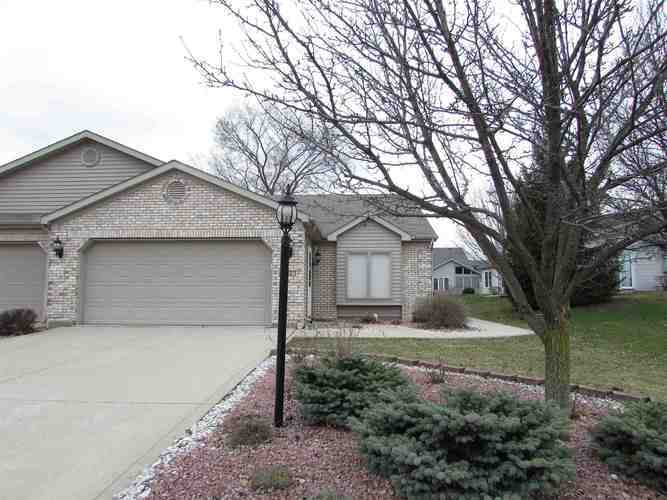 Extremely well maintained ranch style villa in Eagle Glen. This homey 2 bedroom, 2 bath, 2 car garage home shows a very high degree of pride of ownership. Beautiful Hunter Douglas blinds accent the windows. This is a very popular floor plan and very efficiently designed. Immediate possession. Directions:30 W to ST RD 205 in Columbia City, right to Eagle Glen entrance (Eagle Glen Trail), right to Inverness Circle, left to villa on right.